Veteran trainer Pat Farrell is looking to win a race he first won almost half a century ago when his good mare Alart lines up in Friday’s $80,000 Hollydene Estate Wins Muswellbrook Cup (1500m). The 75-year-old locally-based trainer won his first Muswellbrook Cup way back in 1968 with 50-1 outsider Fei Mar and won it again in 1982 with Province. “It’s always nice to win your hometown Cup. Fei Mar in 1968 is a long, long time ago now,” he said. “I also accepted with Alart at Rosehill on Saturday but she’s drawn badly there so she will definitely be running at Muswellbrook. 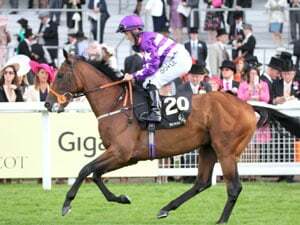 Alart, a four-year-old Excellent Art mare, has compiled a good record of seven wins from her 25 starts to date and has been competitive in black-type races, including a win in the Listed Reginald Allen Quality over 1400m at Rosehill on September 26, 2015. She was also beaten just on four lengths when fifth to Counterattack in the Listed Brian Crowley Stakes (1200m) at Randwick on October 17 last year. Her form earlier this year on wet tracks was a bit patchy but her two runs this time in have been encouraging. 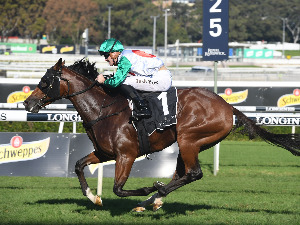 She hit the line well when she resumed for third to Upscale and Highly Geared in a Benchmark 78 over 1100m at Rosehill on October 29 then finished a 2.2 length fourth to Daysee Doom in a Benchmark 80 over 1200m at Rosehill on November 12. “She’s fit and well, has drawn well and I think this race on Friday is the easiest race she’s been in for some time,” said Farrell. Alart, to be ridden by Josh Parr, has drawn gate two in the 14-horse field. One of the major threats to Alart should be Binalong Road who is primed for a first-up assault on the Muswellbrook Cup. Binalong Road, now an eight-year-old, has an outstanding fresh record, winning five races and being placed three times from his nine previous first-up runs. Mudgee trainer Mack Griffith said Friday’s race had been on the radar for Binalong Road for some time. 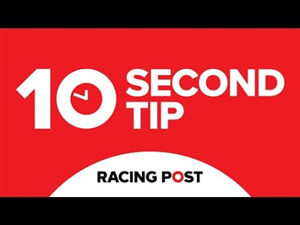 “He flies first-up and we thought the Muswellbrook Cup would be an ideal way to kick off this preparation before he goes back to campaign in Brisbane,” said Griffith. Binalong Road won twice at Doomben during his previous campaign in Queensland and is resuming since finishing unplaced at Eagle Farm on August 13. He has trialled at Muswellbrook and Gunnedah in preparation for his return. 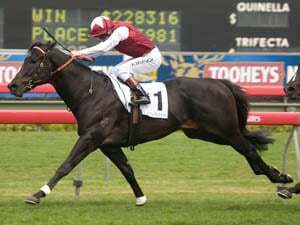 Griffith is chasing a fourth Muswellbrook Cup after winning with Dancing Sun (1995) and landing back-to-back wins in 2002-3 with Sir Redford. Sir Redford was aiming for a hat-trick in 2004 but finished second to Precise Timing. The Muswellbrook Cup has been run over a variety of distances over the years but was has been at 1500m since 2011. And this year’s Cup meeting has been switched to a later November date after previously being run on Melbourne Cup day. Friday’s eight-race program also includes the $50,000 Horsepower Skellatar Showcase Sprint (1000m) and the $40,000 Mt Arthur Coal Wayne Harris Showcase Hcp (1280m). “We decided to move the race away from Melbourne Cup day so the race would stand out a bit more,” said Muswellbrook Race Club general manager Duane Dowell. “Prizemoney for the Cup has increased from $60,000 to $80,000 and the Sprint has gone from $20,000 to $50,000. “Moving the Cup to a Friday should also attract a bigger crowd and there is certainly a buzz around Muswellbrook this week.